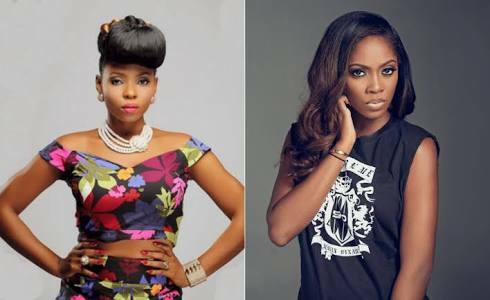 The alleged rivalry between Yemi Alade and Tiwa Savage has been going on for a while albeit in a form of cold war. Just before 2018 ended, Yemi Alade triggered what would be remembered as ‘bum bum’ war with Tiwa Savage. In a new report by Sunday Scoop, Taiye Aliu, Yemi Alade’s manager has cleared the air that his artiste isn’t in any rivalry with any of her colleagues especially Tiwa Savage. In his appraisal of the past year, the talent manager said his artiste had an amazing hear as she took her music further to new places.